I will preface this review by saying that I know absolutely nothing about poetry. When I hear about famous poets I say “I must read those some time!” but as you all know, I never do. I know they’re those strange people that don’t fill the page like normal writers do, and sometimes just put maybe two or three words on a single page. They can ramble on about an old shoe and their work will be called a masterpiece. I don’t get poetry at all. That being said, I enjoyed reading Sisters of Glass. 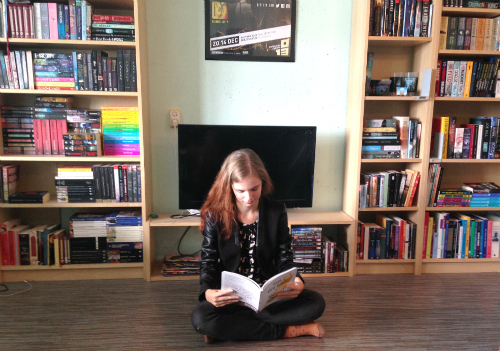 The book is a young-adult historical romance set in Venice, and all written in free verse. For those of you that don’t know what free verse is, here’s a quote from Wikipedia: “Free verse is a form of poetry that refrains from consistent meter patterns, rhyme, or any other musical pattern”. It was an interesting book and I enjoyed reading about Maria, the youngest daughter of a Venetian glass-maker. Her father’s last dying wish is that she should marry a nobleman. Her beautiful older sister, who is way more suitable to navigate the world of nobility, is condemned to work in the furnace. With the arrival of Luca, a skilled glass artist, Maria is getting even more confused whether or not she should obey to her father’s wish. I’m a sucker for everything historical, and I loved the Venetian setting. It has a certain charm with the gondolas and the piazzas and even the floodings, although maybe not that much fun, add to the credibility of the story. I very much enjoyed the descriptions Ms Hemphill has weaved carefully. There is a lot of attention to detail in this story which was great to read. Although I liked how the romance progressed between the different characters, I still felt like this story could have been a little longer. Maybe it’s just because I’m not used to this format, but at times I wanted more. I wanted more emotions, more of the interactions, more of everything. 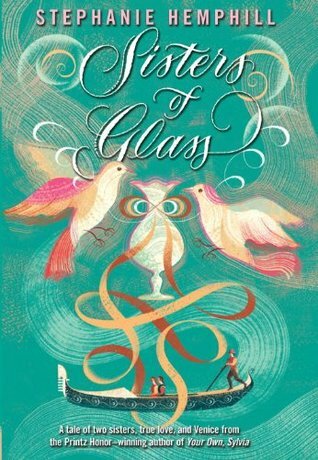 Overall Sisters of Glass was an interesting little book and I would recommend it for people that are in love with Venice or historical settings, and that like a flush of romance in their reads. Maria is the younger daughter of an esteemed family on the island of Murano, the traditional home for Venetian glassmakers. Though she longs to be a glassblower herself, glassblowing is not for daughters—that is her brother’s work. Maria has only one duty to perform for her family: before her father died, he insisted that she be married into the nobility, even though her older sister, Giovanna, should rightfully have that role. Not only is Giovanna older, she’s prettier, more graceful, and everyone loves her. Maria would like nothing more than to allow her beautiful sister, who is far more able and willing to attract a noble husband, to take over this role for her. But they cannot circumvent their father’s wishes. And when a new young glassblower arrives to help the family business and Maria finds herself drawn to him, the web of conflicting emotions grows even more tangled.